← You’ll love this shower tile! 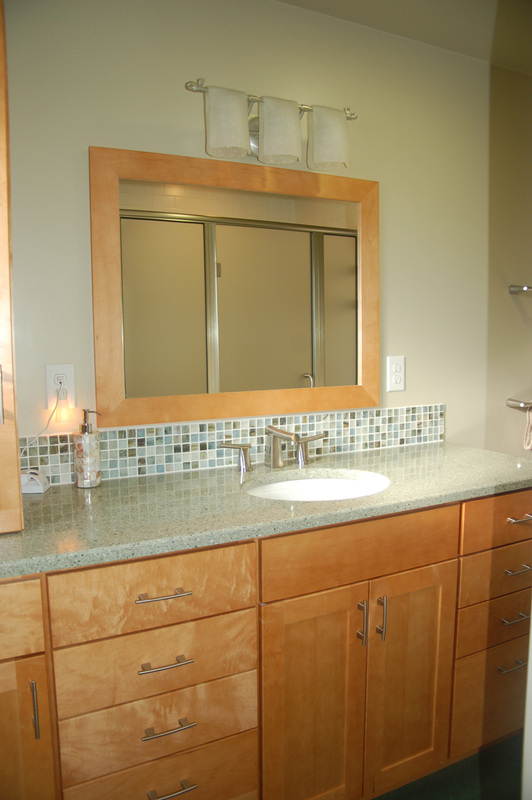 This is one of our recently completed bath remodels. 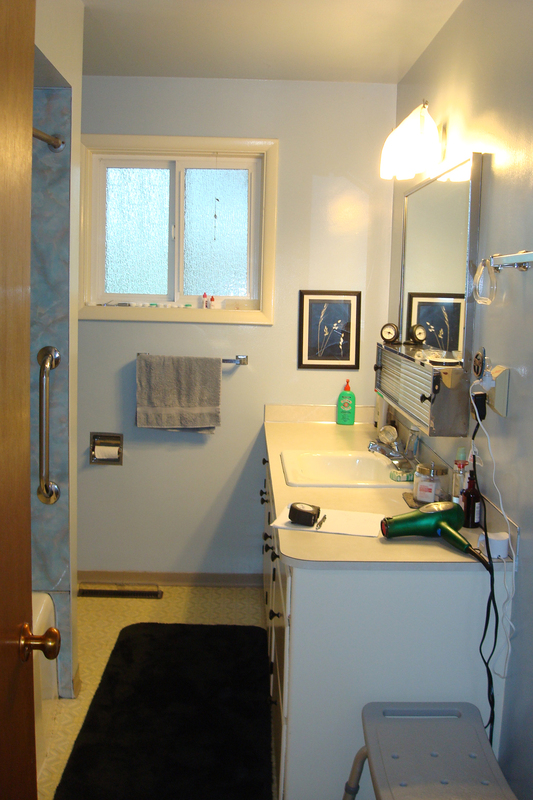 The origional lav, lighting fixture and mirror were very outdated, and it was just time to replace them with more elegant items. The origional lav and light fixture were very 1970’s and definitely showing wear. The replacements are a warm tone natural wood, with a more efficient use of the lav space for drawers and cabinets. This bath definitely provides a warmer feeling walking into it, than the origional bath.